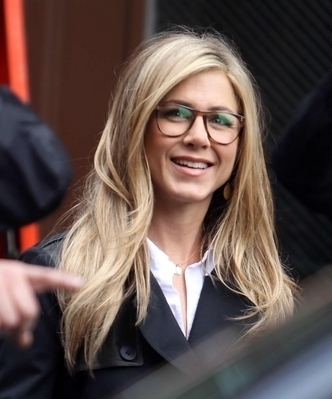 Jennifer on "Wanderlust" Set. Jennifer on "Wanderlust" Set. Wallpaper and background images in the Jennifer Aniston club tagged: jennifer aniston movie production wanderlust set photos 2011 new york city. This Jennifer Aniston photo might contain business suit, well dressed person, suit, pants suit, pantsuit, portrait, headshot, and closeup.